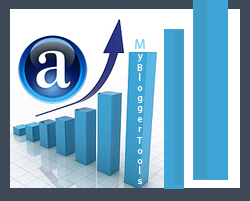 Alexa is a very good tool for calculating your website/blog ranking. Alexa ranking by unique page views by user everyday. And Alexa is the most famous network website ranking community. So if you improve Alexa ranking your website you increase your website traffic. So today I will be showing you how to improve your Alexa traffic rank, and increase your ranking in search engines. Because if your Alexa rank is good, this is also affecting in your page rank in search engines too. Millions of websites are created every day in the world. And Alexa always crawls high Page-rank websites/blog. So if your website is new, you must be registered or verified your site at Alexa yourself, and this is most important to crawl your website. You simply enter your website URL and upload a file html code to verify your site ownership. You also connect your website to Alexa via Facebook account, just log on your Facebook account and go to www.alexa.com/siteowners/claim to registered your website. Old but good tip to increase Alexa rank, you are just creating toolbar for your website/blog when a user visits your website they also visit Alexa toolbar and this is important to your ranking and traffic. Simply go to www.alexa.com/toolbar-creator and create your toolbar. This is the most important trick you must add an Alexa rank widget in your website/blog. Many people visit your blog in a day and they click on the Alexa widget & redirected your websites ranking. You easily create Alexa widget from www.alexa.com/siteowners/widgets easily. You also ask your users to give good and positive review of your website at Alexa. And this has boosted your traffic and Alexa ranking. And always suggest to your user to use Alexa on her website.